Crest Safari Lodge is a hotel in Arusha offering affordable accommodation and associated amenities to business and leisure travelers. The Lodge is situated along Moshi Arusha road, 10 minutes’ drive from Arusha city center on the slopes of Mt Meru and Mt Kilimanjaro. We offer a range of additional services such as information about tourist attractions and destinations in the area, organize for City tours, organize visits to historical sites and provide Airport transfers. The natural surrounding is populated with African banana and other indigenous trees that make the place look green throughout the year. At the lodge, you will watch birds and other small creatures blending in their natural habitat. The landscaped gardens ensure that our guests enjoy the adventure and tranquility they seek. The lodge is designed with an authentic style and character to conform to the tradition of Kilimanjaro and Arusha people. The buildings emphasize the use of natural materials available in the area. Crest Safari lodge looks forward to a promising future because of its experienced staffs, forward planning and the potential of tourism business in the area. Enthusiasm of the management and staffs greatly stimulate the envisioned growth. 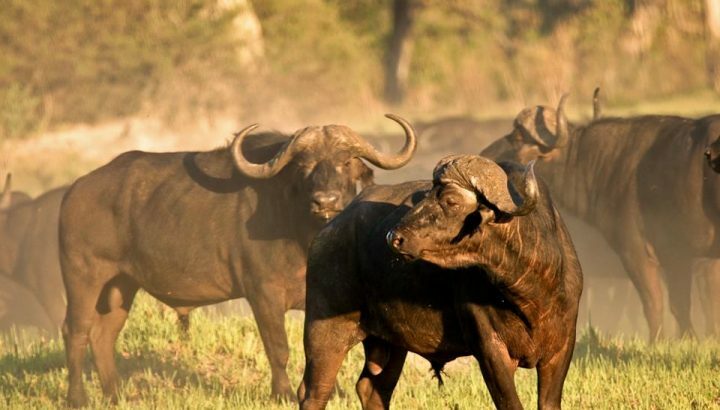 Crest Safari lodge is committed to sustainable, economic, social and environmental practices in the planning, expansion and operation of the lodge. We place high priorities on minimizing the waste, conserving the water, ensuring efficient use of energy, protecting the flora and fauna and developing the facilities with due consideration on the impact of the environment. 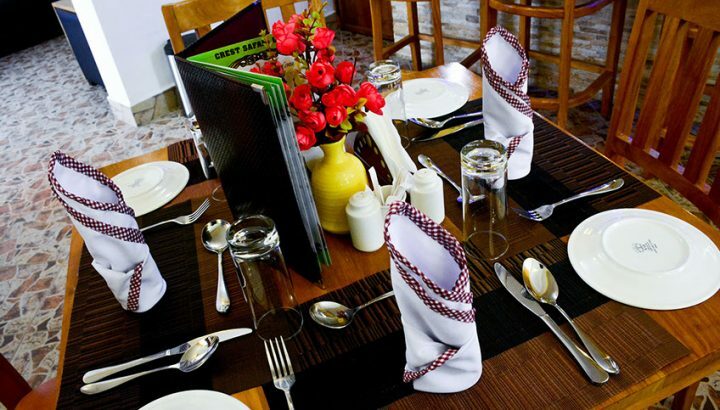 The restaurant serves breakfast, lunch and dinner to resident and other guests. We serve healthy foods and can provide special diets on request. 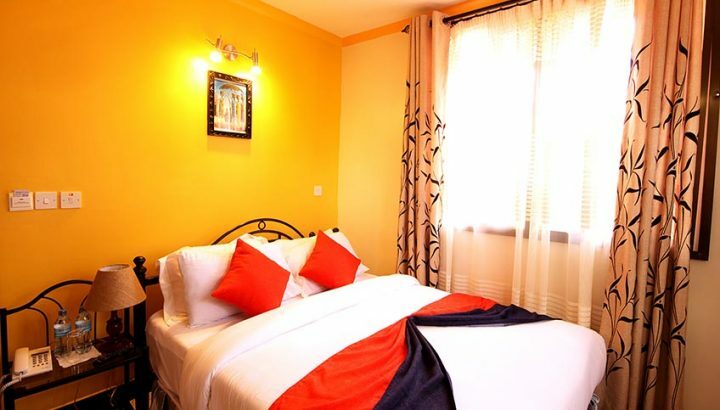 Amenities available within the surrounding area include: walking, mountain climbing, tours of historical sites, wildlife safari tours and many more.